The contacts within your Samsung Galaxy S6 phone are designed to make it as easy as possible to stay in touch with all of your friends and family. It intelligently integrates all your contact information in one place. If anyone new contacts you through a call, text, or email message, it is easy to add the new information to an existing contact or create a new one. Open the text message by tapping the Messages icon. 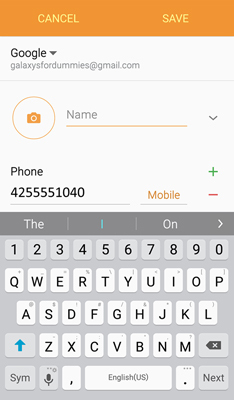 Because your phone does not recognize this number from your current list of contacts, it just shows you the digits from the phone that sent you the text. 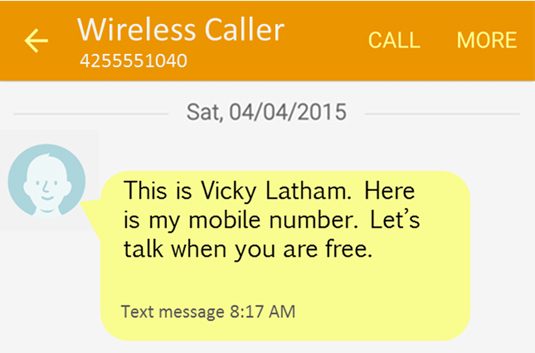 To add this new number to your contact database, move on to Step 2. Tap More in the upper right corner of the text message to start the process of adding this person to your contact database. Tap the Add to contacts link. Tap the Create Contact link. You are asked where you want to save this contact. Save this contact to your Gmail account. 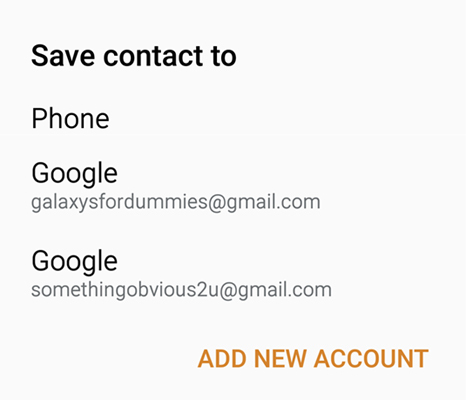 Put this contact where you normally keep you contacts. Add any additional information that is useful to you. 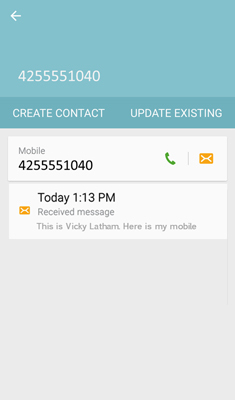 The contact is now saved in your contact database, and the next time this person sends you a text, you will see right away who it is (instead of just the digits from the phone that sent you the text).